This article will show you how to capture full screen applications on Windows. 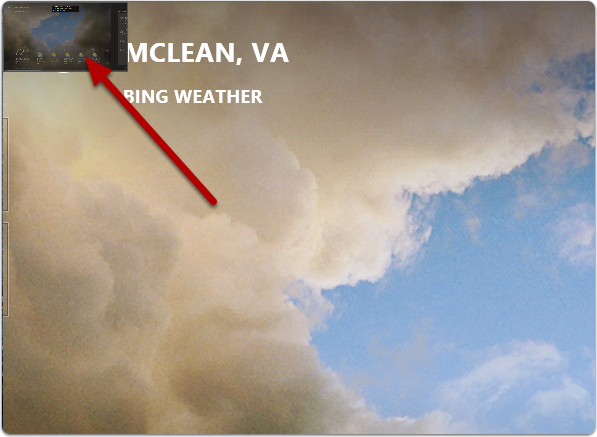 In order to capture a full screen application you will want to use the screenshot hotkey. You can find out what the hotkey is in General preferences. The default is Control + Shift + 2. While viewing the full screen application, press the screenshot hotkey combination. You won't see anything happen, but that is to be expected. Now move the mouse to the top-left corner of the screen and switch back to your desktop. 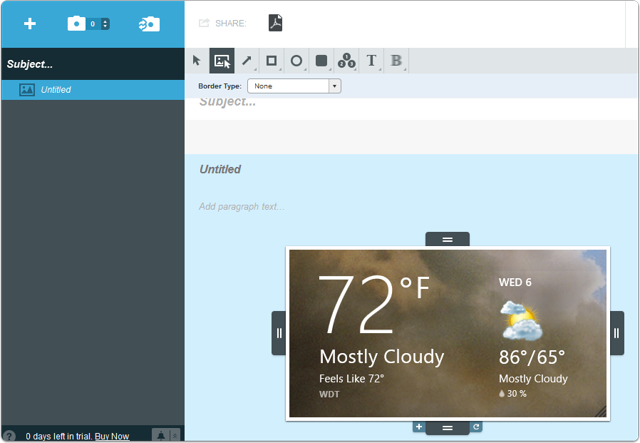 When you switch back to the Desktop the Clarify capture tools will appear and you can capture your full screen application. 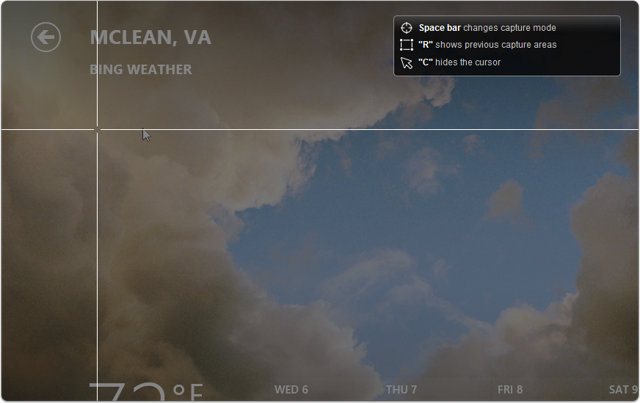 Here is a screenshot taken from the Weather application in Windows 8. How do I capture all of the content in an internet window that requires scrolling to view the entire page? @Michael - Clarify doesn't have a way to capture hidden portions of windows (e.g. an entire web page). You would need to use a 3rd party tool to capture the web page and then paste it into Clarify. You can use browser extensions to capture "the entire page". Search your addons on Firefox or extensions in Chromme for "web clipper".